From the bluff, looking north. You can barely see Shaw's Cove. Around the visible point (out of sight) is Crescent Bay. Crystal Cove state park is a few minutes up the road (PCH). 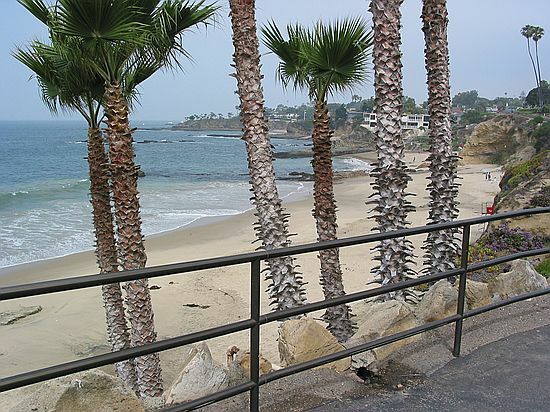 Then come the cities of Corona del Mar & Newport Beach. The City of Angels (Los Angeles) is an hour's drive north. Here in California, distances are measured in time, not miles.